A good opportunity to work with a brilliant team in ortho care. The location is Abudhabi, UAE. 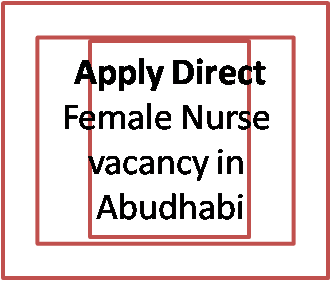 World famous and leading Bone and Joint Center in Abu Dhabi, who are giving good continuous care for people in need of Orthopaedic treatment, are now announcing vacancy for the post of female nurse through their website. Please submit your resume, through the link given below. Please note that this link is directly forwading the resume through the official website of exeter medical center.